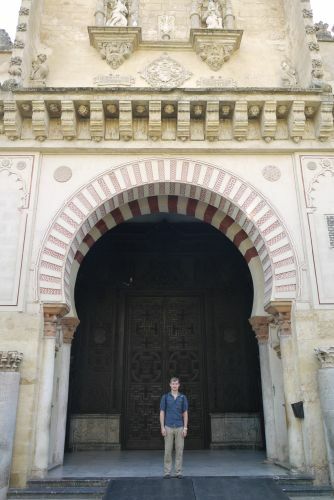 A four and a half hour drive south of Madrid, our first stop on our great Andalucía road trip through the south of Spain was the city of Córdoba. Córdoba started out as the capital city of one of the Roman provinces of Hispania. It wasn’t until the Moorish conquest of the Iberian Peninsula in the 8th century that Córdoba became a city of world importance. 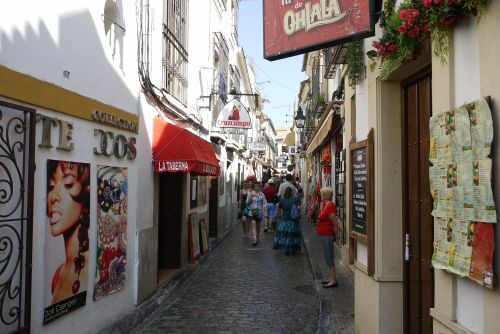 By the 10th and 11th century the city of Córdoba was the most populous city in the entire world and held major cultural, economic and political influence. 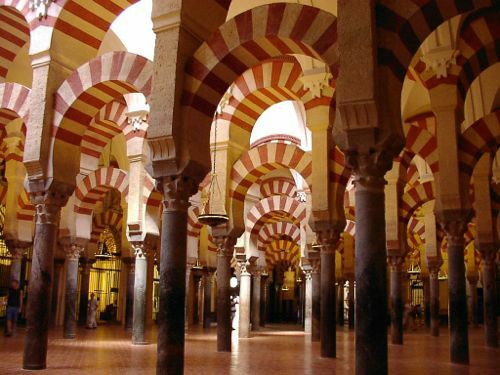 It was during this time Córdoba’s most important building was constructed, the Great Mosque of Córdoba or Mezquita. One of the largest mosques in the world at the time of its construction, the Mezquita is truly magnificent. The interior is truly immense with some 850 columns supporting red and white-checkered arches. The wooden ceiling is adorned with Islamic inspired geometric carvings painted in gold, blue and red and fill every square inch of space. 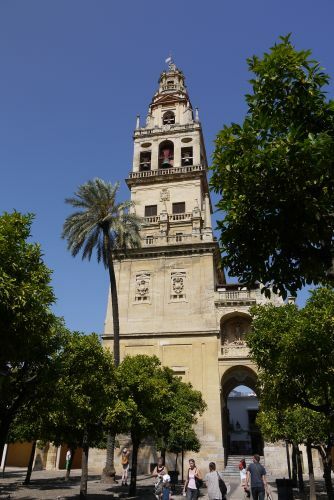 Following the Christian conquest of Córdoba in 1236 the mosque was converted into a Christian church. While the structure was Christianized by adding an alter, choir loft a bell tower, etc., most interestingly was that most of the original Islamic ornamentation was kept and thus preserved to this day. Its bizarre and truly amazing to see such a blending of Islamic and Christian art, architecture, and influence mashed up semi-seamlessly into a singular building. Despairingly my camera ran out of juice just as we entered the former Mosque now Cathedral – mental pictures will have to suffice. After our tour of the Mezquita we decided to roam around the largest urban area in the world to be declared a UNESCO world heritage site. The old city felt like a typical medieval European city in many ways with its narrow streets and wrought iron balcony’s hanging out into the spaces above the passers-by below. One major difference is that one can clearly see the Arabic architectural influence in the windows, doors and tile work typical of southern Spain. After our tour through the old city we stepped into a local tapas restaurant named Ziryab Taberna Gastonomica (http://es.bodegasmezquita.com). Named after the famous Iraqis poet and musician living in Córdoba during the peak of Islamic Iberia (9th Century), Ziryab was delightfully contemporary in décor and menu alike. 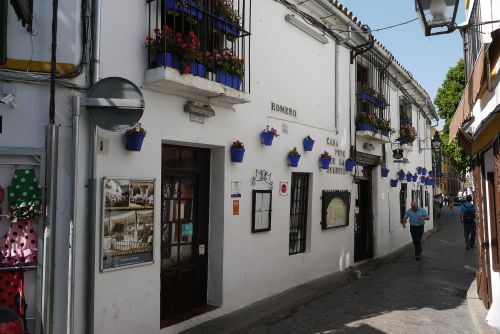 We ordered the tapas sampling menu and enjoyed all that was delivered, duly earning its #3 ranking on Córdoba’s restaurant list. Having our fill of tapas and UNESCO sites we headed back to the hotel to rest and rejuvenate for our trip to Granada the next day.